Yoga is all the rage these days, but sometimes you don’t feel like grabbing your mat and heading to class. If you want to do yoga at home but also want to do a decent job of actually performing the poses properly, what are you supposed to do? A new line of smart clothing called Pivot Yoga is aimed at addressing just that problem. 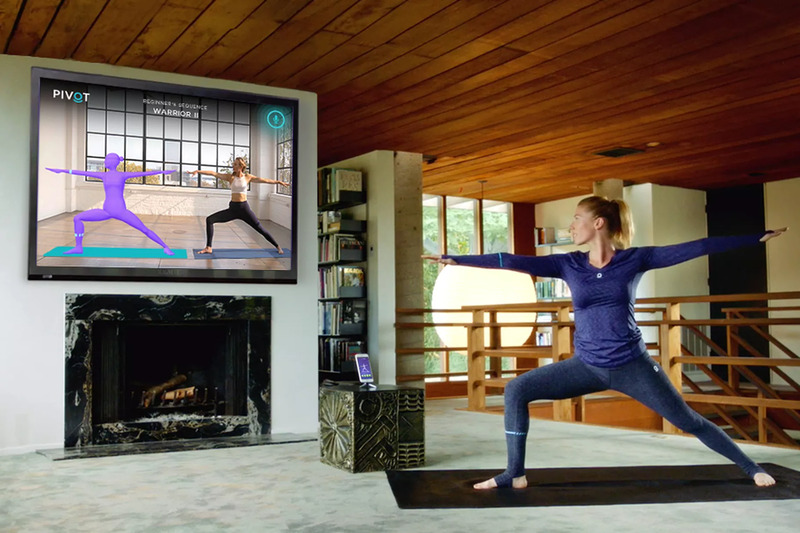 Pivot Yoga uses tiny sensors placed throughout the clothes that can give you feedback on whether you’re emulating the various poses properly. “We know how hard it is to learn yoga, how much yogis want to improve, and how many yogis want to practice at home,” said TuringSense Co-Founder and CEO Joe Chamdani. I know what you’re thinking: how can clothes like that be comfortable? And how can you wash them? Well, apparently Pivot Yoga clothes are designed to “look, feel, breathe, wash, and perform” just like normal yoga clothes, even though they provide a wireless connection through the TuringSense mobile app. So, how it works is that you basically use the app to take online yoga classes, with your TV showing not only your instructor’s movements, but an outline of your body using the sensors throughout the Pivot Yoga clothing. What if you’re in a pose where seeing the TV is difficult? Just ask the smartphone’s voice assistant, “Pivot, how’s this look?” The assistant may tell you to move your arm or leg a certain distance in a particular direction, or it may tell you your pose is looking great. The clothes themselves will run through sizes XS all the way to XL, although more specific sizing info isn’t available yet. You’ll be able to charge the clothes (that feels so weird to write) through Micro USB and connect them using 2.4Ghz Wi-Fi. The included battery, while not replaceable, gives about five hours of use. The top and pants will run $99, with the online videos to cost $19 per month.